On 17th June 2010, four members from Necofa volunteered to support the tree planting initiative organized by Mau forest Conservancy,UNEP, The East African Wildlife Society, Kenya Forest Wildlife Group, and community forest associations. Pupils and Students from the neighboring schools and community members from the area gathered in the occasion to take part in the ongoing exercise. The exercise was marked by peace talks from the organizing agencies and provincial administration represented by three chief from the nearby communities. As observed, Baraget forest which is located in Mau forest was largely affected by massive destruction of forest cover with only less that 15% of the total area left bare with no vegetation cover. The community members claim that in the recent decade they have experienced crop failure and reduced rainfall throughout the years. Early this year the Government evicted people who illegally encroached the forest and later conducted tree planting in the neighboring Kaptunga Forest which was pioneered by the Prime Minister Raila Odinga. The theme of the event was to promote biodiversity through restoration of degraded forest with indigenous trees. The community leaders, prohibited cutting of trees as fuelwood and Charcoal burning as well as illegal settlement in the forest. mong others participated in the event. Baraka Agricultural college, Molo in collaboration with Government Line Ministries and other service providers (both private and public) organized a community/farmers field day that was held at the college grounds on the 18th June 2010. 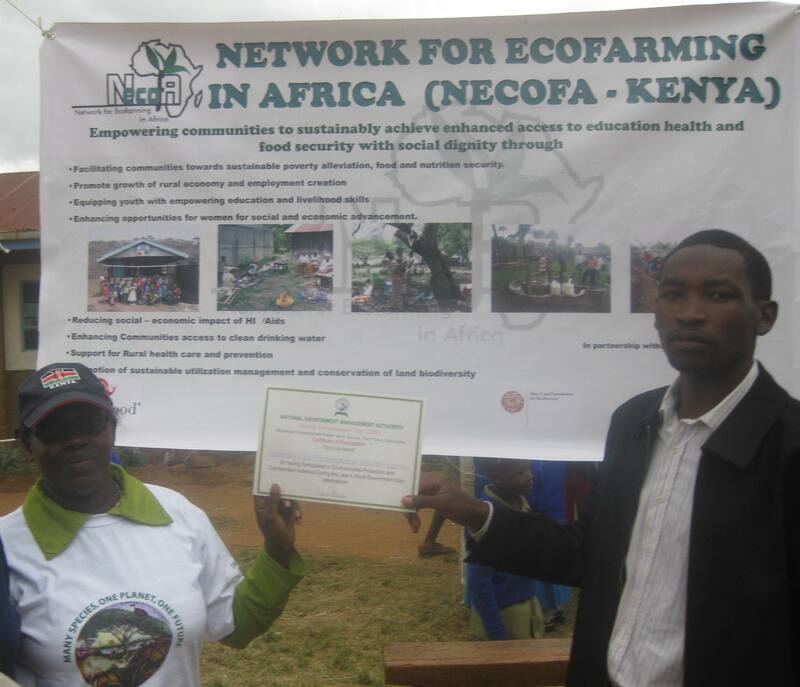 Network for Eco-farming in Africa (Necofa) –Kenya was invite to take part in the annual event that was attended by over 2000 people from the greater Molo region and neighbouring communities from Nakuru, Narok, Kericho, Baringo, Uasin-Gishu and Nyandarua regions. Necofa community and associate groups took the initiative to exhibit their organic products and tradition techniques of food production, preparation as well as their significance nutrition values.The groups from Necofa that participated included Self Help Groups such as Utugi, Kihoto, and Karunga Self Help Group that displayed food products, Wool products, and weaving techniques and other traditional skills. Farmers were able to learn and understand more about Organic farming, traditional food preparation, proper farming skills and adaptive mechanisms towards sustainable development. Community groups and farmers from different localities were able to exchange ideas and brainstorm on solution to upcoming challenges on Climate Change and GMO’s and were further guided by expert from specific fields. This year (2010) national environmental day was held in Turi sulgwita Primary School, in Molo district. The occasion was marked by a theme for WED 2010 which is “Many Species, One Planet, One Future” which has been domesticated as; “Biodiversity: Connecting with Nature”. 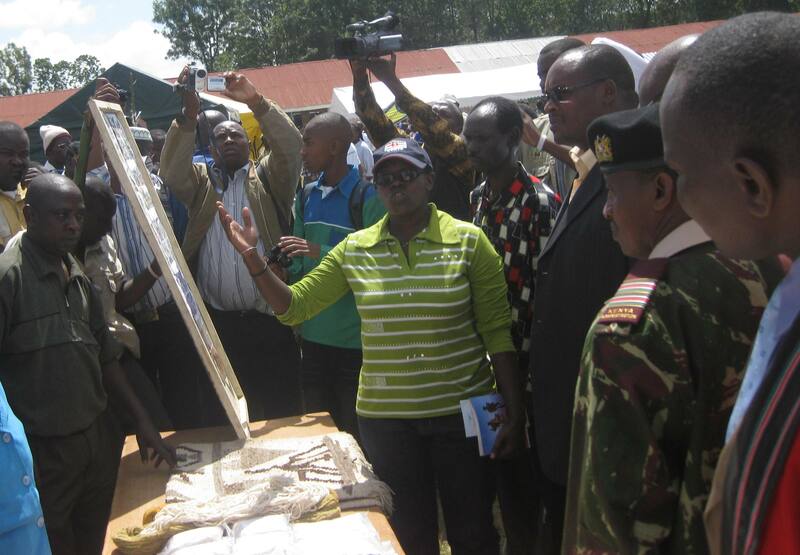 The event was spearheaded by the National Environment Management Authority (Nema), the United National Environment Programme UNEP as well as other government agencies such as Kenya Forest Service, Kenya Wildlife service, and provincial administration. However organizers selected Molo district as the epicenter for this year’s festivities because of its environmental relevance to region which in the recent past has faced massive destruction of Mau forest. 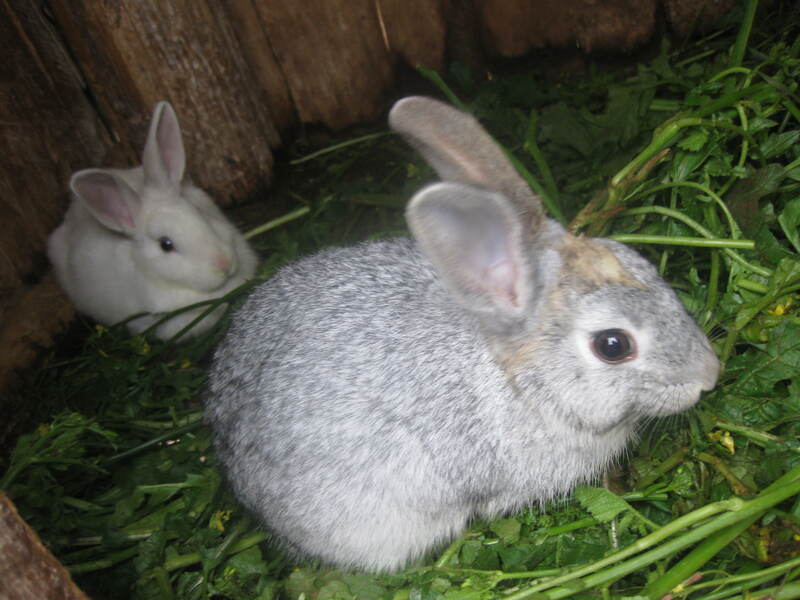 The effort being put forward as continous support to promote biodiversity in the area. The World Environment Day (WED) is marked globally on the 5th June of every year. It is a day when people focus on the environment and it is celebrated in over 100 countries. World Environment Day was established by the United Nations General Assembly in 1972 to mark the opening of the Stockholm Conference on the Human Environment. Necofa Kenya received a certificate award for the remarkable and its effort on the go to promoting biodiversity and environmental conservation in the region. The award, was received by the country coordinator Mr. Samuel Muhunyu. More so, Necofa has conducted baseline surveys and monitoring of the Molo River which taps its water from the Mau forest and increased efforts by the team to strengthen community forest Association with increasing the forest cover and planting thousands of indigenous trees. National Environmental Management Authority (NEMA) team and organizers officiated the event that was held on 3rd June 2010 as a build up exercise towards the national environmental day. Necofa team led by Mr. David Chege, volunteered in the active participation during the clean up exercise in Molo town to sensitize the community and commercial agencies toward clean environment to promote public health and proper solid waste management. The exercise involved workmen from Molo town council, Pupils and students from the nearby team and volunteers from NGO’s, Nema officer among other government premises. The day was tremendous with joint efforts to eradicate waste and cleaning blocked water tunnels. The walk through the town was remarkable with welcoming signs to the National Environmental Day that was to be held two days after. After the cleanup we all gathered at Kambala Primary School for a tree planting session in the school. The Nema officer and teachers from the respective school gave a talk on biodiversity and importance of conserving the environment and keeping in clean. To, many Biodiversity was a new concept but through elaboration, students and the community participants were able to stipulate the importance of conserving nature and its biodiversity. The insight of supply of thousands of indigenous tree seedlings to Danish refugee Council (DRC) and Refugee Consortium of Kenya (RCK)that were donated to areas affected by inter-ethnic conflicts after the post election violence (PEV) as an initiative towards peace building was incredible. Necofa staff facilitated the collection of tree seedlings from the communities’ tree nurseries and delivery to Ngenia village in Set Kotes Division and in Nyakinyua village, in Molo District, where the donations were made through DRC and RCK. People from different ethnic groups gathered at the venue to gladly received the tree seedlings and a forum talk from the provincial administration and DRC team as an intervention to promote peace and cohesion in the society. The UN proclaimed May 22nd, the international day for biodiversity to increase understanding and awareness of biodiversity issues. To celebrate the day this year; NECOFA Kenya coordinators Mr. Samwel K. Muhunyu was invited to facilitate a one day forum on biodiversity conservation at the Dimese sisters Karen Nairobi hosted by the Franciscan Brothers and JPICFA which focused on GMO foods. The facilitator had the role of closing the information gap in definition of what GMO foods are, where they originated from, reason for their introduction, advantages and disadvantages, human health, soils, environment and indigenous agricultural practices. The forum brought together about 70 delegates mostly from Nairobi but sharing a common interest of conserving the biodiversity. The cloud of controversy surrounding the GMO’s received some light as the presentation clearly put into limelight the deception used by multinational companies promoting GMO’s. The companies introduce GMO’s indirectly to small scale farmers in order to evade restrictions outlined by the biosafety act that is described as weak and inadequate. It emerged that the Multinationals had created a cycle of dependence on their products by farmers throughout the crop production period and ultimately fetch huge profit. The system increase the cost of input towards food production hence reduce the profit margin and in many cases farmers encounter losses and low farm sustainability. The facilitator Mr Muhunyu advocated the need for consumers to be quite careful and concerned when buying food stuff and seeds from the dealers and food stores. He made a presentation titled “Gambling with food is condemning millions of people in Kenya” that further elaborated on Biodiversity concepts and fight against GMO’s. The forum organizers in fact engaged the facilitator, Mr. Muhunyu for a commitment to make presentations on similar or related topics in the near future in a build up to strengthen the civil society movement against GMO’s.